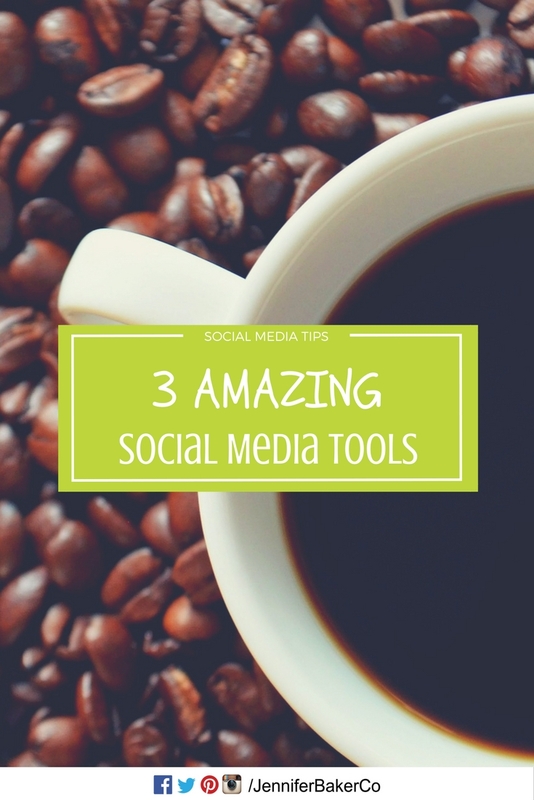 If you’re like me, you’re always on the lookout for free, simple-to-use tools that will improve the efficiency and effectiveness of your business’ social media efforts. When speaking with people or delivering workshops there is always someone who mentions a program, app, or tool that they use to manage their day-to-day social media. I truly love when people feel comfortable enough to share a piece of knowledge with the group that has the ability to transform how another person achieves their social media goals! I always take note of the tool, and try it out at another time – to see if it is (a) a good for for my business, and (b) useful to share with future groups. Over the past 5 years, I have tried and tested lots (and I mean lots) of social media management programs, graphic design programs and apps, video tools, and general “make-social-media-simple” tools. Hootsuite is a social media management program that allows users to manage a variety of social media networks, including Facebook, Twitter, Instagram, LinkedIn, and Google+ from a single dashboard. The company was launched in 2008 by Ryan Holmes in Vancouver, British Columbia. Hootsuite allows me, the social media manager, to plan and schedule updates for a variety of social networks, using the simple month-at-a-glance calendar. If an event date changes, it is simple to drag-and-drop the post or tweet to a new date and time. Hootsuite also allows me the ability to grant access to clients and outside consultants to assist and approve messaging. When there is engagement, I have the ability to assign someone to respond, or simply have the ability to see when the post was responded to, and by whom. Canva is a mostly free, online graphic design platform that comes with a suite of social media templates, graphics, and photos. While there is a premium-paid service, the free service comes complete with what most people will require to create beautiful graphics. Canva has also released an app that allows users to edit photos and designs on-the-go using their mobile device. The app is compatible with iOS 8.1 or later, as well as iPad, and iPod touch, and select Android devices. What I truly enjoy about Canva is the ability to develop your own templates that work with specific sizing requirements. Updating graphics for blogs, promotions, and contests month-to-month becomes a snap! Even more, Canva doesn’t limit users to their catalog of imagery, rather they allow users to upload and use their own logos and graphics. Pixabay is a website designed for sharing high quality public domain photos, illustrations, vector graphics, and film footage. There are currently over 650,000 images for use! While I always recommend using relevant photos to a company, product, service, or location, sometimes generic photos (e.g. nature scene, fireworks) are totally acceptable in a graphic or for background imagery. If you haven’t made the connection yet, I’ll help! You can search, find, and download photos from Pixabay and upload them for use in your Canva creations. 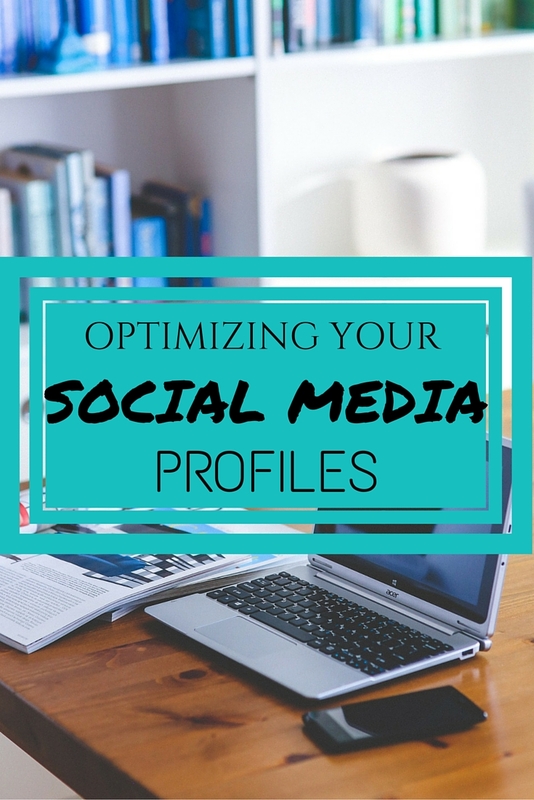 Then, once your image has reached perfection, you can create a post and schedule it using Hootsuite! See, I had you covered! A day doesn’t pass that I don’t log into Hootsuite, my go-to social media management dashboard. As an individual who manages multiple social media accounts for clients, I use Hootsuite to plan, organize, and schedule timely and relevant updates, as well as engage audiences. Recently I’ve become a Hootsuite Ambassador, an individual who voluntarily promotes Hootsuite to their networks. 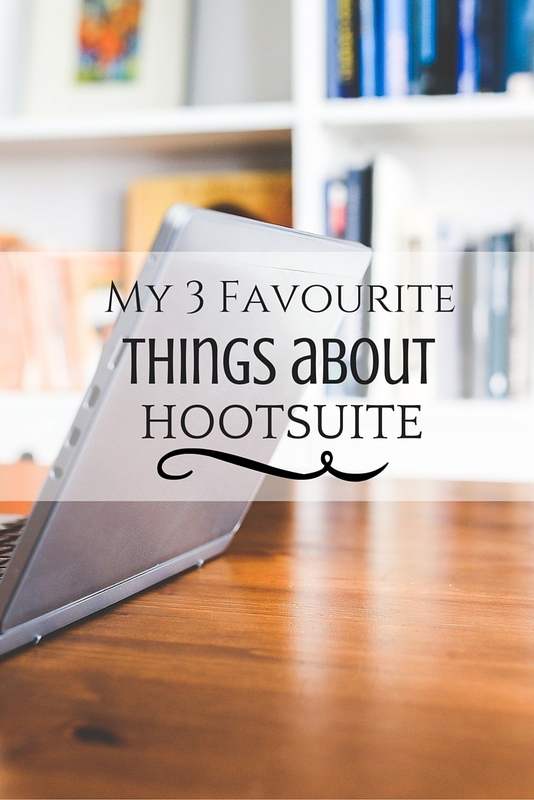 That said, I want to share the three things that I truly love about Hootsuite. Social listening is the act of ongoing monitoring and assessment of real-time, online conversations about a company, brand, or individual. In my experience, I have witnessed many businesses using social media as a one-way marketing-communication medium, another tool to push a business’ most current marketing initiatives to the general public. In other words, the modern-day fax machine. By utilizing the Hootsuite search stream, businesses can set-up tabs with multiple streams for the purpose of social listening. Search for your business name, as well as incorrect spellings and shortened versions. Got a CEO or VP in the public eye? Search for her/his name. Curious if people are sharing your website? Search for your website URL. As search results flow in, be prepared to read and respond. While it will be easy to respond to positive comments, use negative posts as an opportunity to provide a solution to the problem. The act of social listening is a powerful business activity, and Hootsuite makes it easy for businesses to start listening. If a company isn’t online, do they really exist? At first blush this may seem absurd, however, the last time you Googled a business and there were no results, did you second-guess the business’ validity? It is imperative that a business maintain an active and engaging presence on social media. That said, a business’ target audience should determine the platform it utilizes in its social strategy – not every social media platform is meant for every business! Regardless of the social strategy, a business must provide consistent messaging and engage in ongoing social listening. Hootsuite allows businesses the ability to schedule original messages, including images and links to a number of social media platforms. In addition, Hootsuite “Suggestions” will curate content on behalf a business, searching relevant sources for content to be used across social media, savings time and energy! Make it a priority to plan and schedule your business’ social media activities using the Hootsuite dashboard. For anyone who has gotten to know me, you’ll know that I love baking, Ultimate Frisbee, and owls. Hootsuite’s Owly just pulled me in with his adorable owl-ness. Enough said. What’s your favourite Hootsuite feature? Last week I applied to become a Hootsuite Ambassador, an individual who promotes Hootsuite products and shares Hootsuite content with their personal and professional networks. While between meetings last Thursday, I was delighted to begin receiving mentions from Hootsuite Ambassadors from around the world welcoming me to the program. I had been accepted as an ambassador. When I launched Jennifer Baker Consulting, a social media training and consulting business, I investigated the available social media management tools. After some initial research and free-trial demos, I settled on Hootsuite. 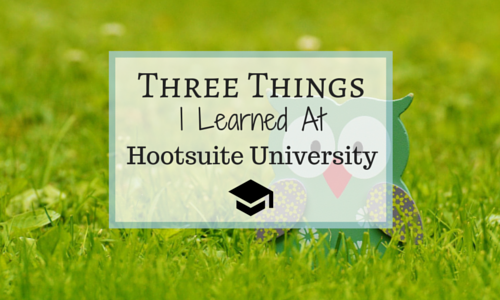 Last year I signed-up to Hootsuite University for the purpose of improving my social media skills, as well as learning more about the program that I use everyday. When people think management programs, the first thought is scheduling. Hootsuite is an awesome platform for planning a business’ social media activities. With the ability to schedule a single message to multiple platforms with the click of a button, Hootsuite will save your business time and energy. (Note: It is always important to customize the message for the platform!). In addition, using the ‘Publisher’ view will allow you to view all upcoming messages chronologically, by day, week or month, as well as rearrange messages if required. Professionally I had been utilizing the Hootsuite dashboard for four and a half years to manage client accounts. The tab structure makes for simple navigation between clients, and streams allow for a quick overview of specific account activities, including engagement, messages, mentions, and scheduled messages. The single dashboard saves time by providing all client accounts on a single screen, rather than having to log in-and-out constantly throughout the day. Do you know what your customers are saying about you online? Are you actively searching and engaging with conversations that involve your brand? I find that social listening is the area of social media that tends to get forgotten. While many businesses (and social media consultants for that matter) simply engage in push marketing on their social channels, social media is about engaging with conversations that are already happening online. Hootsuite has the ability to set-up search streams for specific words, phrases, conversations, emotions, hashtags, usernames, or geographic location. Remember, we have two ears and one mouth for a reason. As a business that provides social media training to businesses across Ontario, Hootsuite is the social media management program that I always recommend to clients. Hootsuite University has allowed me to hone my social media skills, and utilize Hootsuite to the max!